1.The first sample is the basic straight feather stitch , the second and the third ones are the wider and narrower versions of the same. 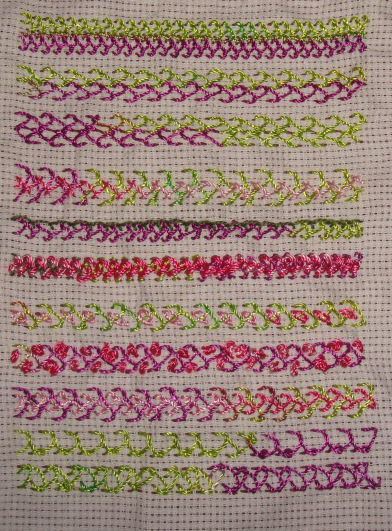 2.After working the closed version of this stitch in the first row, the straight feather stitches are whipped on both sides in the second row and laced in the third row. 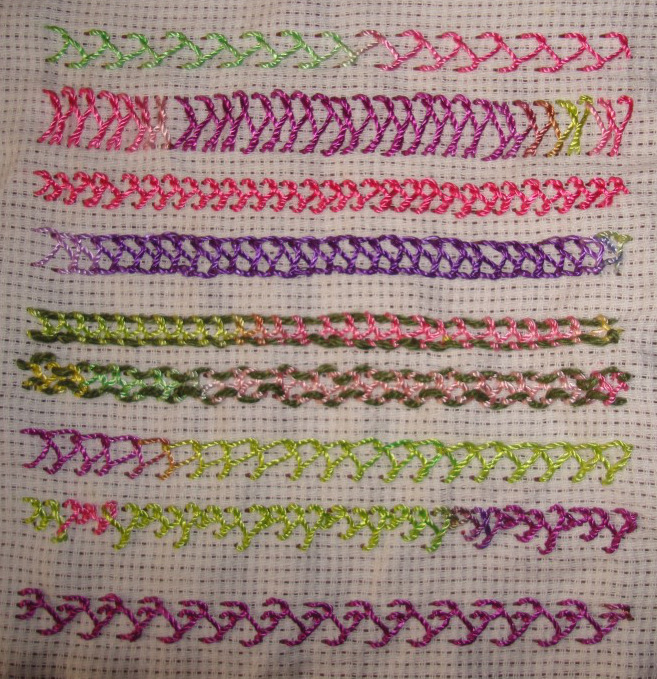 3.Straight feather stitch is closed on one side and open on the other side in the first row, the stitches are worked in varying heights on one side in the second row. 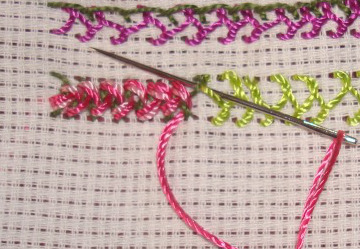 Two step straight feather stitches are worked on one side in the third row.